Albania, Albania, with your 500,000 cold war bunkers, your Accursed Mountains named for a fairy tale, your beautiful beaches and tiny villages with houses painted lime green, aquamarine, peach and lavender, your dusty, potholed roads and your proud stoicism: I think you’re a secret treasure. After WW2, Albania became a Stalinist state, isolated from the rest of the world until it shifted to democracy in 1992. Thanks to unstable governments and a terrible economy, lots of Albanians left to find work overseas, sending money back to their families. And during the Balkan War, around half a million ethic Albanian refugees, who’d been living in Kosovo, fled across the border into Albania. I think it’s safe to say that things have been pretty tough until quite recently. 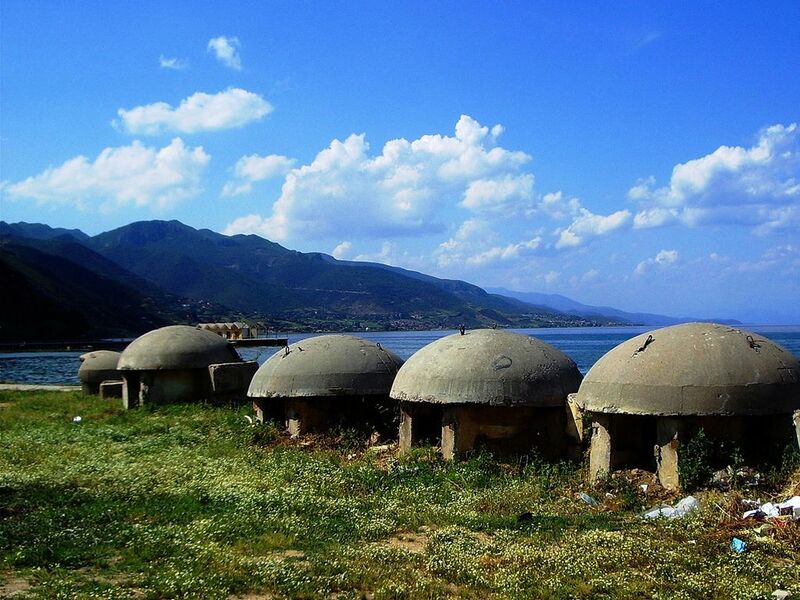 We had an early picnic breakfast overlooking Lake Ohrid, the 300m deep aquifer-fed lake in the mountains near the Macedonian border, then went in search of a bunker or two. With lots of sign language, Leroy somehow made himself understood and a local pig farmer named Agon agreed to take us to some near his village. It also seems that we have tacitly agreed to stay at his house (a kind of B&B) tonight. I guess that’s fair exchange for taking him away from his work for a couple of hours. 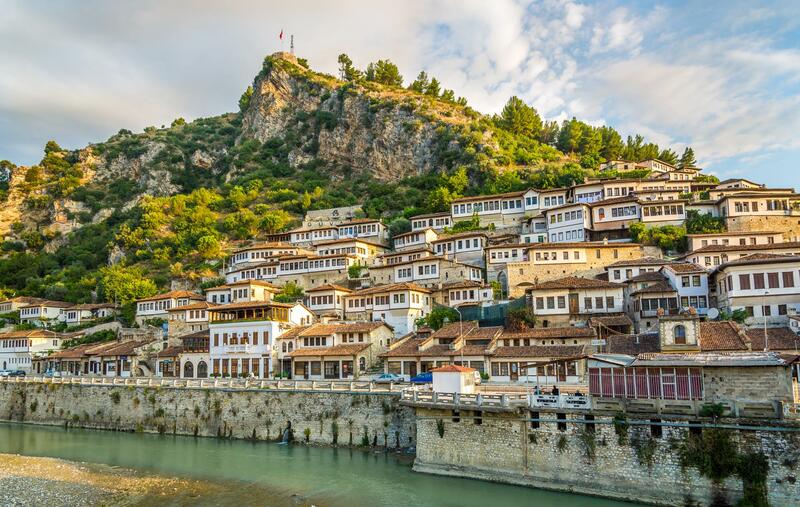 From Agon’s village we headed south-west to Berat, the gorgeous ‘city of a thousand windows’ and wandered around for a bit. And now we’re in the capital Tirana, with its mix of architecture and monuments from very different eras – Ottoman, Fascist and Soviet. It’s obvious that there’s not a lot of money around, but it’s certainly not as run-down as I expected. One of the bunkers, designed as a shelter for the dictatorial communist leader, Enver Hoxha (now dead) and his men, has now been turned into an edgy, rather spooky museum and arts facility where bands play. 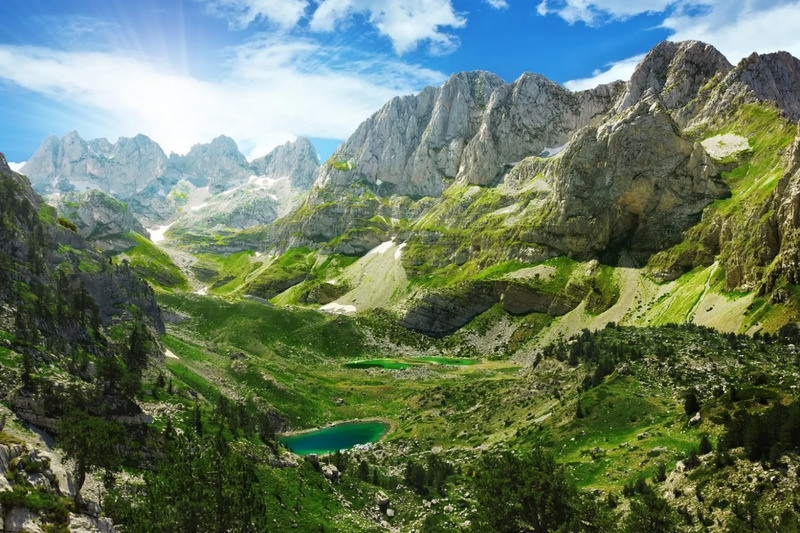 And later this afternoon – before going back to Agon and Floria’s for dinner – we’ll head up to the north of the country to visit the Accursed Mountains. I imagine it’ll be an early night in tiny Lin, unless there’s anything happening at the local tavern.